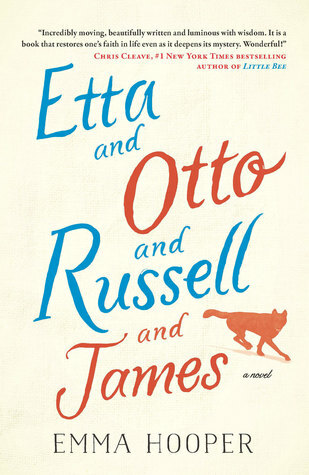 It’s time for another bookseller confession; I’ve had the ARC of Etta and Otto and Russell and James forever.. like, the “before it was published and now it’s in paperback” kind of forever. I don’t recall when I picked it up along my bookish adventures, but I think it was during a bookseller preview of some sort. I’m so glad I finally got around to reading it! Synopsis: Etta has dreamed of seeing the ocean for most of her life. At 83 years old, she decides to walk from her home in Saskatoon, SK to finally see the water, leaving a note for her husband, Otto, that says she hopes to remember to return. Otto must decide whether he will honour her need to do this, even though her failing memory may mean that he will never see her again. The way this book shifts back and forth through the past and present reminds me of waves. There’s this ebb and flow of detail that I feel was intentionally created as we learn what brought Etta and Otto together, their relationship with Russell, and where James fits into the picture. It’s a slow build up to a swell of emotion that comes crashing down during the final scenes. I really love the mix of realism and fantasy that is featured in this book. There’s a subtle magic, making it read like a favourite family story that has been told so many times that the truth is muddled and uncertain, but the message and emotions still remain. I found myself yearning for the sight of deer out in the fields with Russell, puzzling my way through intricate recipes with Otto as he learned to bake, and wishing for solitude with Etta as she passed through the crowds of people who came to see her walk by. This is another one of those books that surprised me in the best way. I can only hope that I get as lucky with the next random book I select from the pile. This book has intrigued me for the longest time. I should really pick it up now. Somehow I expect it to be an emotional, engaging love story in the style of David Nicholls novels Us and One Day. I hope I’m right, cause if I am, it will most certainly turn out to be a five star read for me too.